Welcome to my weekly Travel Timehop where I share memories of adventures from around the globe. This year I have opened up the series to some amazing family and travel bloggers who are sharing moments from their favourite trips. If you missed last week’s Venezuelan Travel Timehop from from Natalie at Plutonium Sox, check it out – it’s a corker! However, I haven’t been able to give up the Timehop reins completely – it’s just too much fun. Today I’m sharing a memory from our travels in Europe. When are we time-hopping to? It was 2006 and Mr Tin Box and I were working our way around Europe in a tent. After boarding the ferry from the UK to Dunkirk, we drove through France, spent a few days in Belgium then headed to Luxembourg. I recall we hadn’t booked a campsite, so once we had located Luxembourg city I think we just drove south until we stumbled across Camping Bon Accueil in Herserange. This type of approach would be madness now we have kids to consider, but we didn’t think twice about long drives and late arrivals when we were just a couple. Our campsite had all the basics we needed, a toilet block, spacious pitches and it was just 5km outside the city with direct buses into town. It was a good base for a few days of exploring this tiny European country – any more and we would have been twiddling our thumbs. If this photo were a film you would see my knees wobbling. I’m terrible with heights! 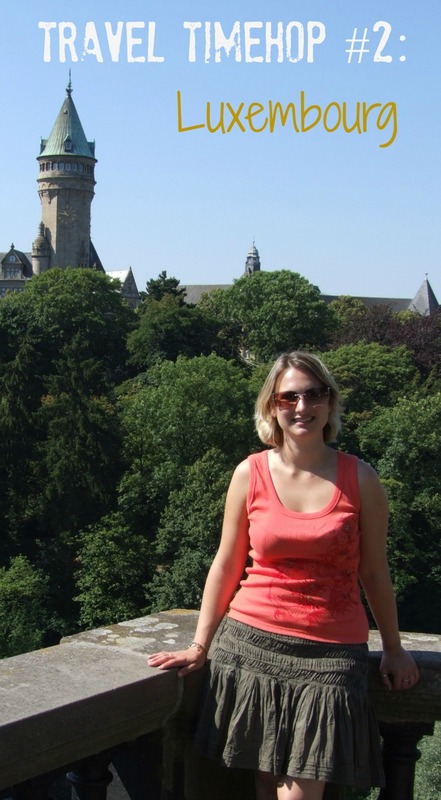 Just behind me is a huge drop down the side of the rocky outcrop that the city of Luxembourg sits upon. Below is the valley carved out by the River Alzette. It’s a dramatic and beautiful setting for a hotchpotch of historic architecture. There has been an important strategic fortification here since the 10th Century. Over the years it fell into the hands of different European powers who added manmade walls to the natural cliffs making it the continent’s greatest fortress until the 19th Century. It is now a UNESCO World Heritage site. During the 24 hours or so we had to explore Luxembourg city we walked through the rocky Pétrusse Parks, visited the Bock Casemates tunnels, and marvelled at the beauty of the Grand-Ducal Palace. Have you been to Luxembourg? Where would you recommend visiting? Next week I have a high flying Travel Timehop from Bron at Smiths Family Road. Hope to see you then! If you would like to share a moment from a favourite holiday, day trip or adventure with Travel Timehop I’d love to hear from you. Here’s how to get involved. Wow, gorgeous view – worth the knee wobbles. I think I had a brief trip to Luxembourg City but it's definitely one of those slightly overlooked European countries for me! Such a tiny gem in the middle of Europe! Did you find your beers to be exceptionally expensive? We've heard that prices for everything in Lux are a good deal higher than most of Europe. Do you know what, I can't remember. It was 10 years ago that we visited. A lot has changed in that time. However in any major European city you can expect things to be a bit pricier. I live well outside London and am always shocked at the price of a drink when we go there! Alcohol is crazy expensive everywhere but none more expensice than my own country Australia its crazy the prices here. I think Luxembourg wins on name alone, it's simply fun to think about going to such a place…knee wobbles and all! What a view! Are your camping days long gone, or do you still camp as you travel around? We enjoyed quite a few days out in Luxembourg last summer when we were living in Germany. 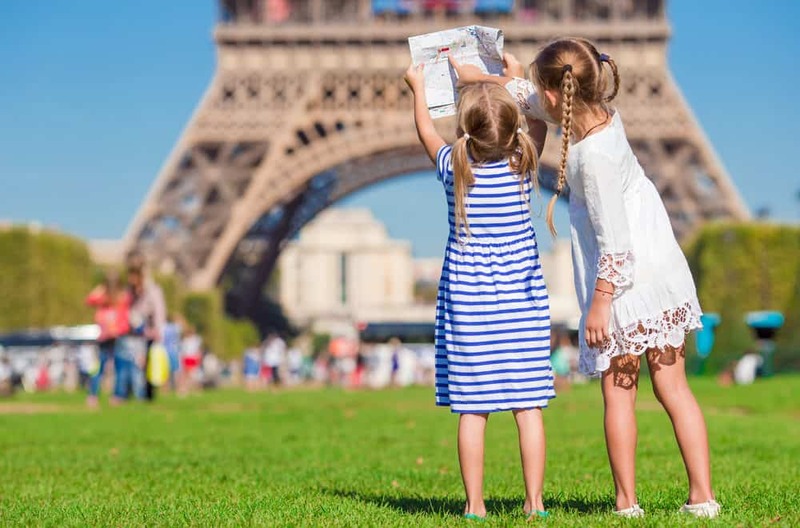 If you go back with the kids we recommend the city bus tour, Natalie Bonn Chocolate house and Parc Merveilleux.